Almost all biological processes are coordinated and timed by body clocks. Human body clocks and rhythms were once a mystery to scientists and doctors. 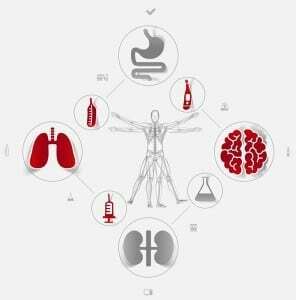 However, there is now a growing body of research explaining how almost all of our biological processes, from sleep to digestion to blood pressure control, are linked to internal clocks. This new understanding of chronobiology, or the study of body clocks and timing, is leading to new advances in health and medicine. There are many different types of internal clocks that govern our bodies. There are circadian rhythms, or 24-hour clocks. In addition, there are ultradian rhythms that are less than 24 hours. These govern shorter cycles such as hunger, heart rate, digestion and other processes that occur multiple times in a 24 hour day. On the other hand, Infradian rhythms are cycles that are longer than a 24 hour day. A good example of these is the hormonal cycles of adult human females. Last, our bodies operate on a yearly clock as well, adjusting different cell processes and hormone levels according to the season. These body clocks work together to prepare our bodies for the demands of different times of the day, month, and year. The circadian rhythm is the best understood of body clocks, present in nearly every known living organism. This 24-hour clock governs diverse processes such as sleep, DNA repair, and cell regeneration. As primitive cells were damaged by the sun and heat during the day, they used night hours for DNA repair and other healing processes. The human circadian rhythm is far more complex, but we still use night as a time for cell repair and regeneration. In addition, having a circadian rhythm allows an organism to chemically prepare for important events and ensures that all processes occur at the right time, in the right order. All clock-like and rhythmic processes are timed carefully by our brain, the suprachiasmatic nucleus of the hypothalamus in particular. The hypothalamus receives timing cues called zeitgebers and use them to keep clocks in synch with each other and with the demands of our environment. For the circadian rhythm, for example, our retinas receive light from the environment and pass the signal on to the hypothalamus. 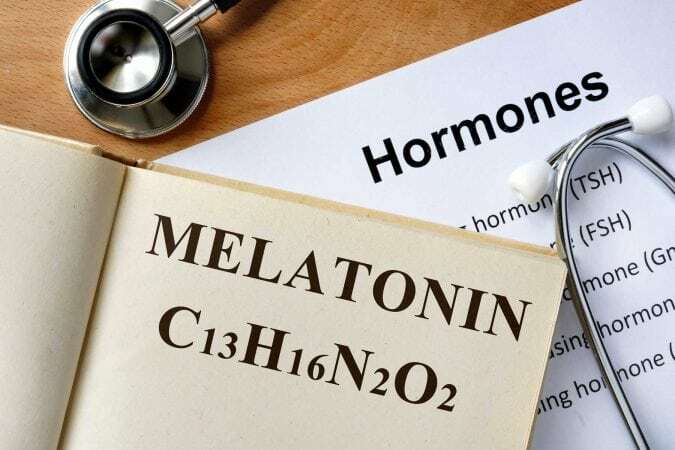 The hypothalamus then signals the pineal gland to suppress melatonin production while telling other areas of the brain to increase production of hormones associated with wakefulness. When the retinas sense lower light, the hypothalamus assumes nightfall is coming. This is especially true if the lowered light is combined with other cues indicating night, such as lower temperature. The hypothalamus then gives the pineal gland the green light to make melatonin, a hormone that makes us sleepy. Our body clocks are not just important for sleep, but essential for whole body health as well. For example, if DNA repair does not occur, cells will begin to lose their ability to function. The resulting gene mutations can even lead to cancer. While our body clocks can work against us, they can be used to benefit human health as well. Research in chronobiology, or the study of internal clocks, has led to many insights into treating diverse diseases such as diabetes and cardiovascular disease. New discoveries have led to an entirely new field called chronopharmacology, which focuses on how medications can be timed to have better effects or less side effects. For example, chemotherapy is now timed to hit cancerous cells at the most vulnerable time in their cell cycle, which reduces the risk to healthy cells. The body's internal clocks are fascinating from a scientific perspective, but even more so from a medical one. Understanding complicated processes and their timing is increasing understanding of the interaction between health and disease. In addition, it is allowing researchers to develop new and more effective treatments. Our body clocks are essential to our health, so maintaining and treating them is a new and burgeoning field of health care.